Play the multiplayer mode of Call of Duty: Ghosts for free! If you haven't purchased your copy of the famous shooter yet, today is a perfect time. Steam has announced that every fan can buy the multiplayer mode of Call of Duty: Ghosts for free and get the game itself with a pretty nice discount - 50%. Also, the new project's trailer was released yesterday. This weekend will be a great time for online battles in Call of Duty. The developers have announced the Double XP event, during which you will be getting twice more experience for every fight. Moreover, you can play the multiplayer mode of Call of Duty: Ghosts for free, if you go to Steam and download your copy till 1pm GMT on the 23rd of February. Also, this weekend you can buy the last instalment in the Call of Duty series with 50% discount. Note that both offers work only for PC gamers and via Steam site. Would you like to get the multiplayer mode of Call of Duty: Ghosts for free? 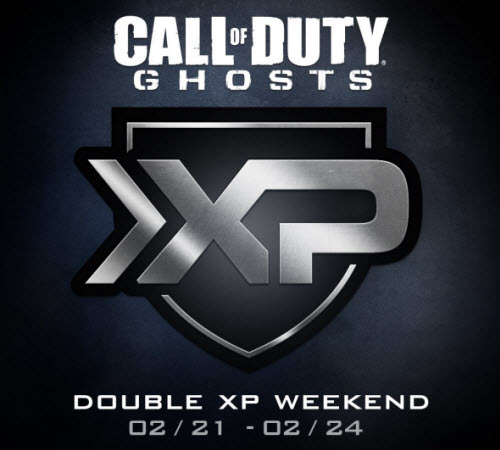 Are you going to participate in the Double XP event? Let us know in the comments below.